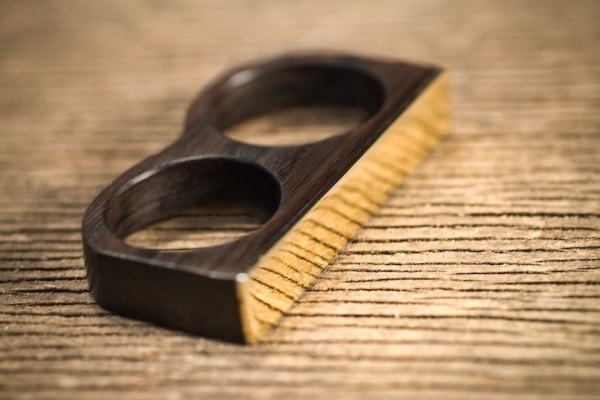 Shane Foran, founder and designer of Vitaly Design, had the brilliant idea of ​​creating double rings after searching unsuccessfully for them during a trip to Bali, Indonesia. This was just the first of a series of fabulous accessories for men. This young and up-and-coming company has two collections, "Friends" and "Clocks & Colours", which propose single, double and triple rings, pendants, tie clips and cufflinks. Made from durable materials such as exotic wood, ceramic, stainless steel, silver, gold and rose gold, the pieces in the collections feature a mixture of different materials that exude richness and style. Skillfully connected straight lines and curves merge into one another for a sharp, classy look. Available from $60, double and triple rings are setting a trend in men’s fashion. Will you jump on the band wagon?